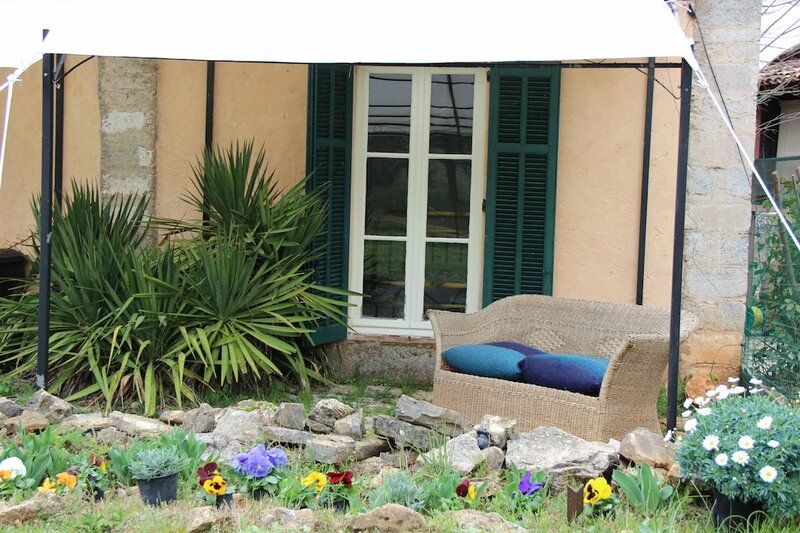 Accommodation at our Provençal Farmhouse consists of two separate apartments. 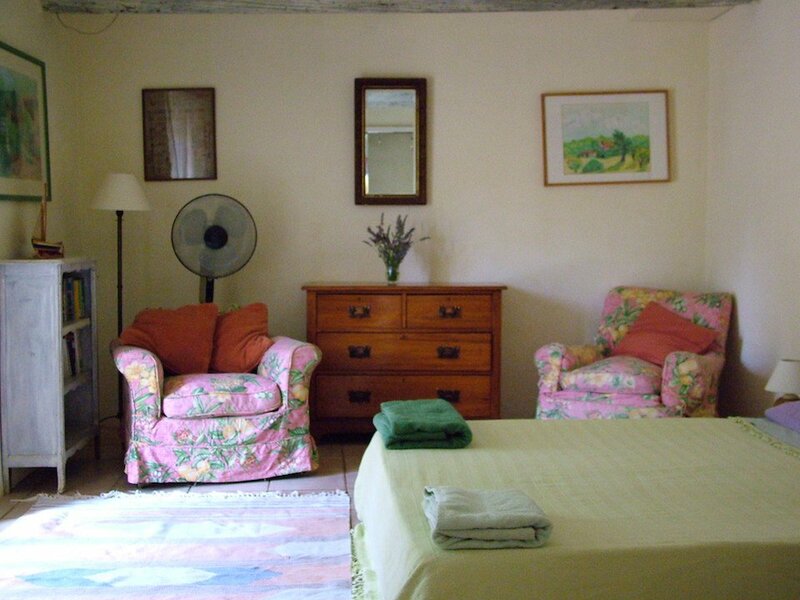 Our first apartment is a part of our farmhouse and has two large bedrooms, 1 large kitchen and 1 large shared bathroom. The beautiful terrace at the front of the house is both where we eat and sometimes paint under our shady Medlar tree. 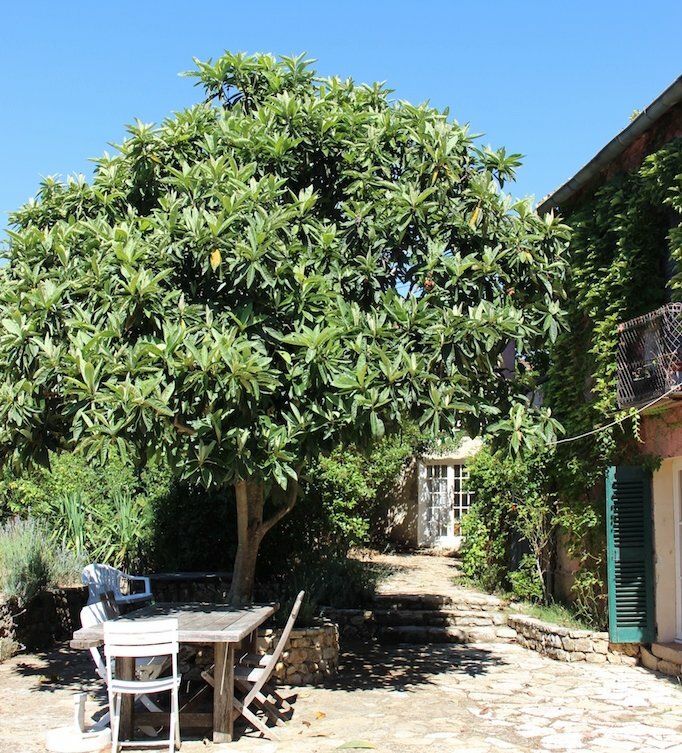 Provençal Farmhouse terrace perfect for dining under medlar tree. Our rustic farmhouse kitchen, where we all eat if the evening is a little chilly, but mostly it’s just for you! provençal farmhouse rustic kitchen has everything you need. It comes with two bedrooms. One double bedroom faces south and leads into the kitchen. Although basic the kitchen does have everything you need. 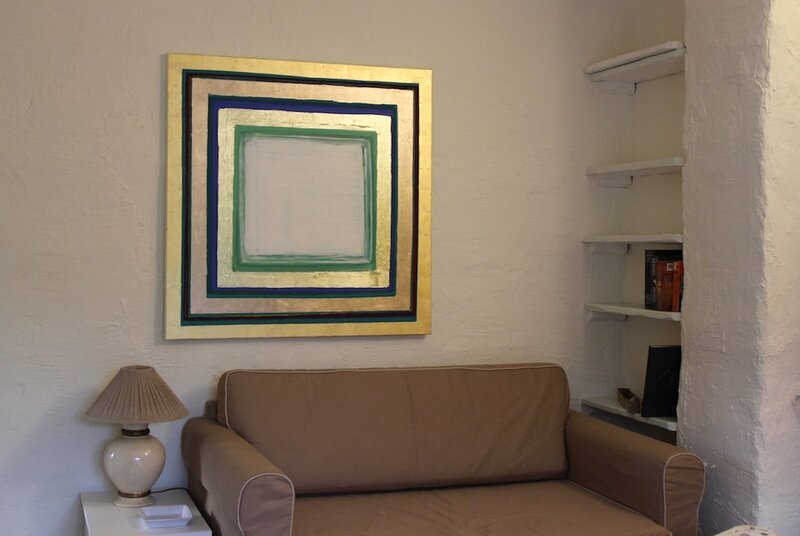 This large comfy bedroom has television and its view is south on to the terrace and garden. Bedroom two has one large double bed. 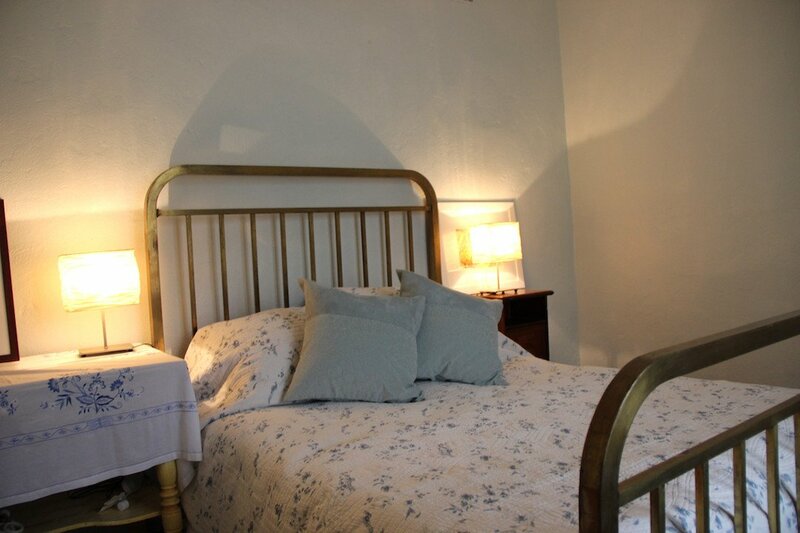 This bedroom leads into the bathroom and has a beautiful view into the vineyards and lovely morning light. 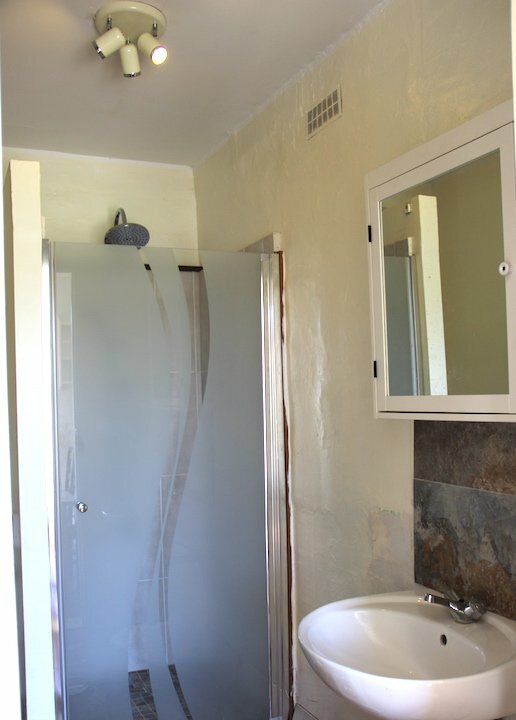 The bathroom is supplied with one Philips hair-dryer, a jacuzzi bath and an Italian walk-in shower. 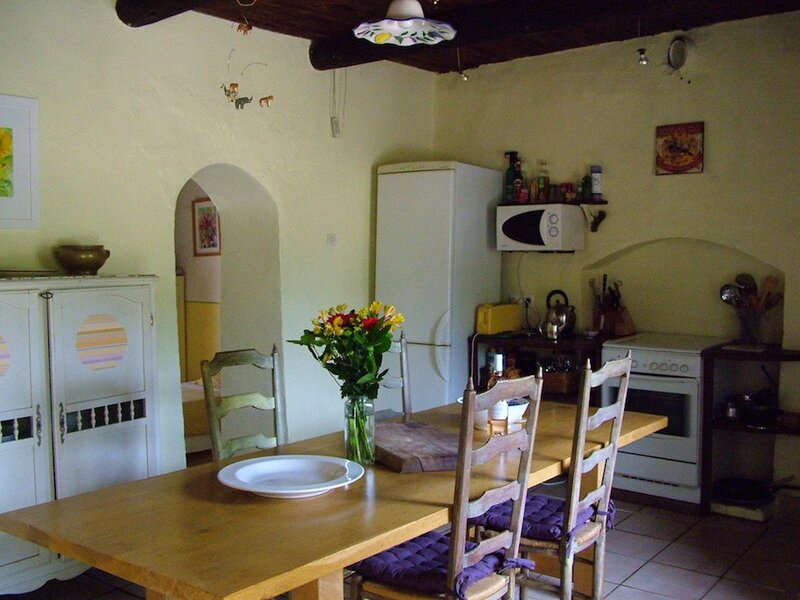 Accommodation at our Provençal Farmhouse in this apartment suits people who are friends or people who don’t mind sharing. A cool pool for a hot day. Our lovely cool pool is perfect at the start of the day to refresh you before we go on one of our painting trips, or after a sublime lunch on the terrace. 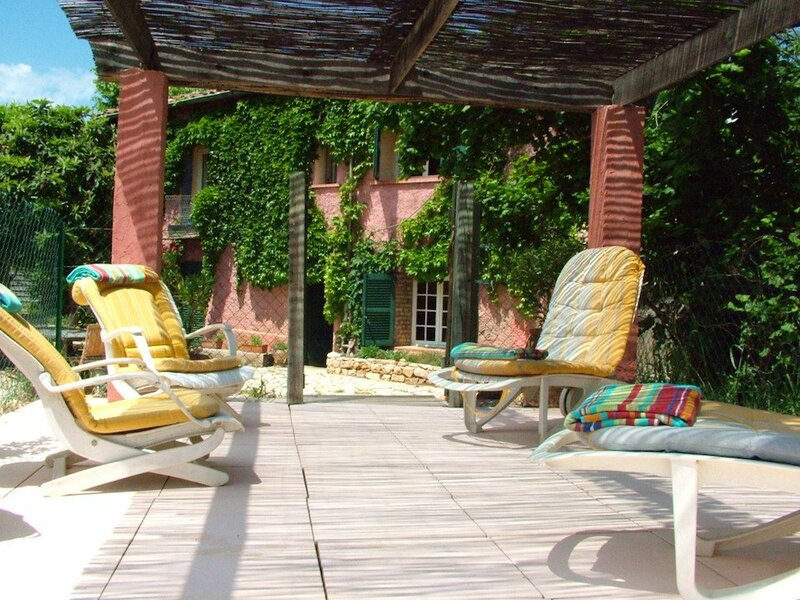 Or simply after a day’s painting in our beautiful Provençal countryside after a rest and maybe a leisurely stroll in the vineyards and the pretty woods just by our farmhouse. Apartment two is set apart from the main house and has one double bedroom and a living room that can double up as a bedroom. It has a pretty new kitchen and breakfast room. 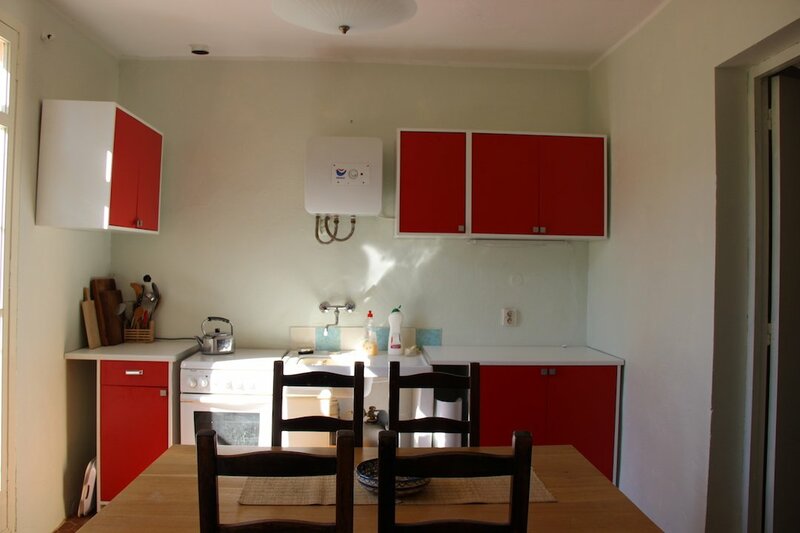 Our pretty new kitchen contains everything you need for an agreeable stay. It leads onto the pretty terrace at the front of the apartment and a short walk to the pool and the dining terrace of the farmhouse apartment. This pretty double bedroom has a large wardrobe and a southfacing view onto the terrace and beyond. Bedroom 2 barn apartment or cosy living room. We have just put in this pretty new bathroom in our Provençal Farmhouse. The bathroom is shared and is just off the kitchen.